Our Cafe — Joe Chocolate Co.
Home Shop Online Our Story Our Ingredients The C.D.S. HomeShop OnlineOur StoryOur IngredientsThe C.D.S. ﻿Local Color is a longstanding cafe in the heart of Pike Place Market. Serving some of Seattle’s finest espresso, local fare, beer, cider, wine, and displaying a selection of ever changing local art. Our cafe is a great place to relax, rejuvenate, and enjoy all that our beautiful city has to offer. 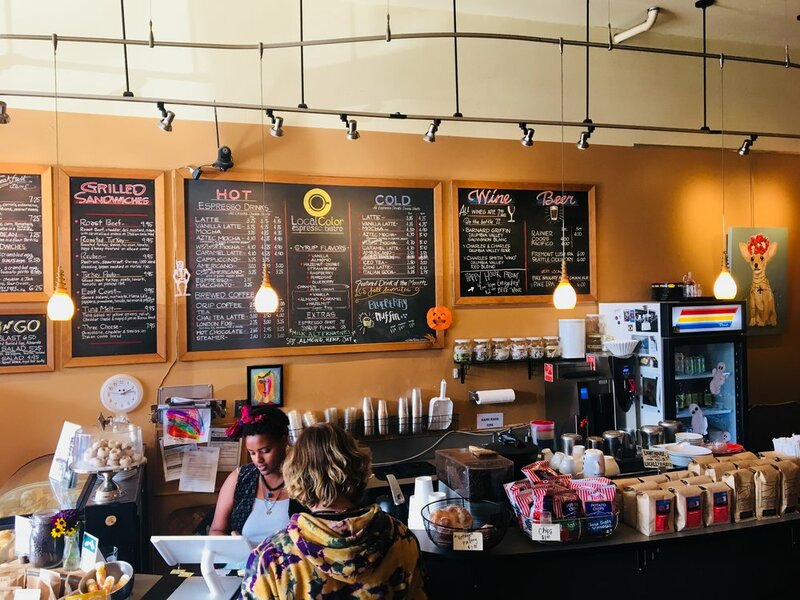 In early 2018, we acquired Local Color from the previous owners with a commitment to continue serving great food and drink to vendors, locals, and visitors alike. In Spring of 2019, we will open our flagship factory and cafe in this historic location. Keeping the focus on all things local, we use beans from Lighthouse Roasters in the heart of the Fremont neighborhood. Those same beans in Joe Chocolate’s bars are the ones we grind up everyday to turn into delicious drinks. Our coffee menu focuses on perfecting the basics, and well as experimenting with new flavors. All of our baristas have taken on the time-consuming task of latte art, and your drink will be as beautiful as it tastes. We also sell one pound bags of Lighthouse Roasters’ beans for $13.99 so you can keep your caffeine high going. If you need an escape from the hustle and bustle of the market, we began our first Happy Hour this year! We have always carried beer and wine -which we serve all day- but now you can get $2.00 off all of our beer and wine products anyday from 4pm-6pm. We carry both domestic and local craft beers, and local wines. We have great seating to sit, sip, and people watch. Local Color hosts an array of works from Seattle artists, rotating every two to three months. Our gallery includes original pieces, original jewelry, as well as prints. Come in for one of our art openings to meet the artists and mingle with the locals. 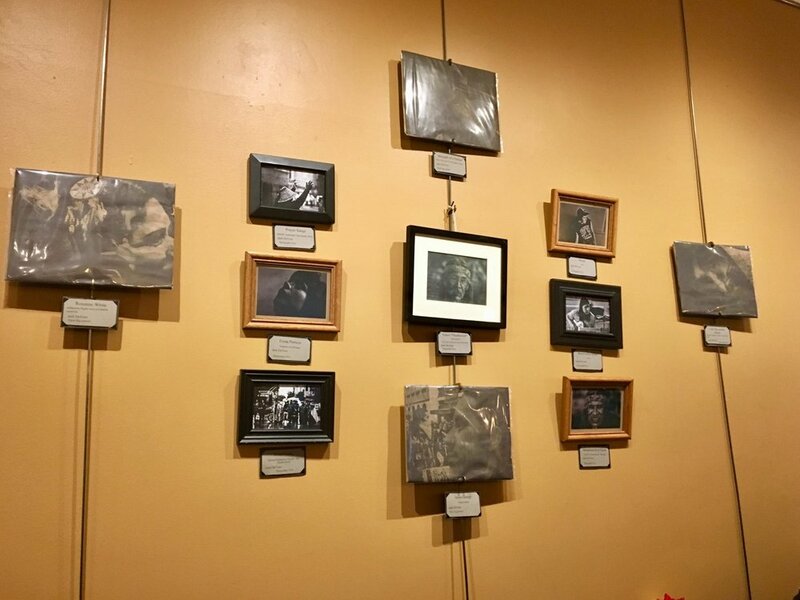 If you are a local artist interested in displaying your works in our cafe, please contact our art curator Julia Totten at julia@joechocolates.com.